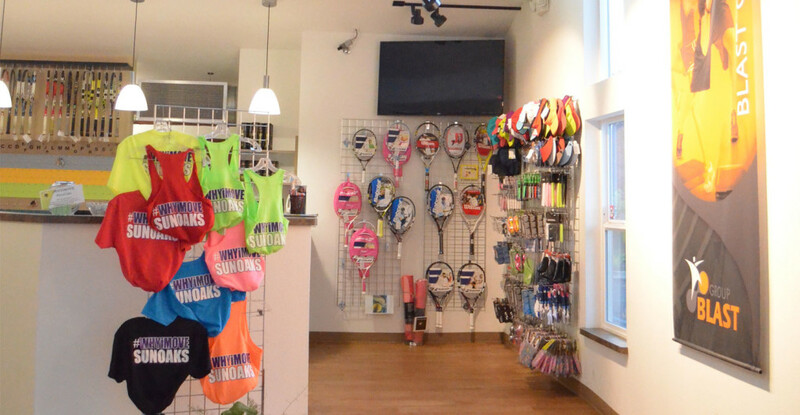 Sun Oaks Pro Shop has a complete selection of Babolat & Wilson Performance Tennis Racquets. Public is welcome to demo frames on site. 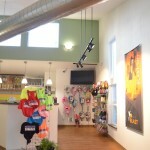 We also offer a complete stringing service. Our stringers have over 25 years of experience and are familiar with all the latest strings and stringing techniques. 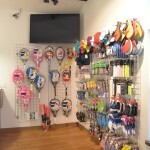 Have one of our experts fine tune your racquet.We carry Wilson, Prince, Gamma, Luxilon, and more. We also carry natural gut. Have an emergency? 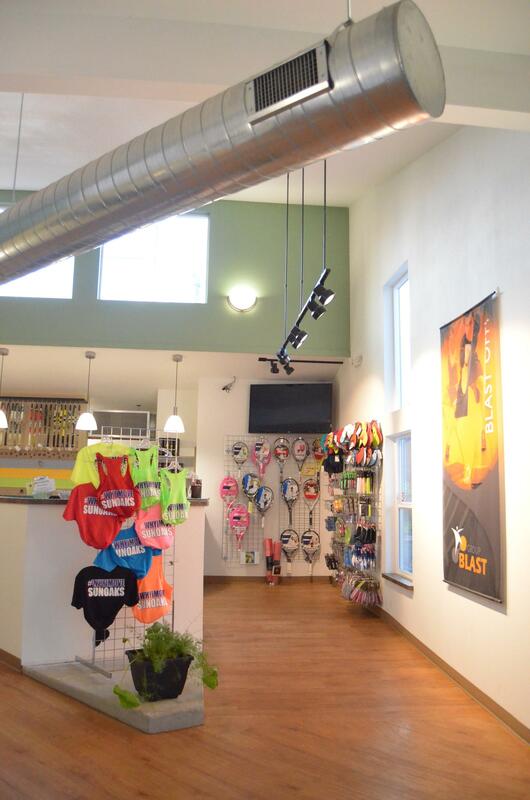 We provide same day stringing! 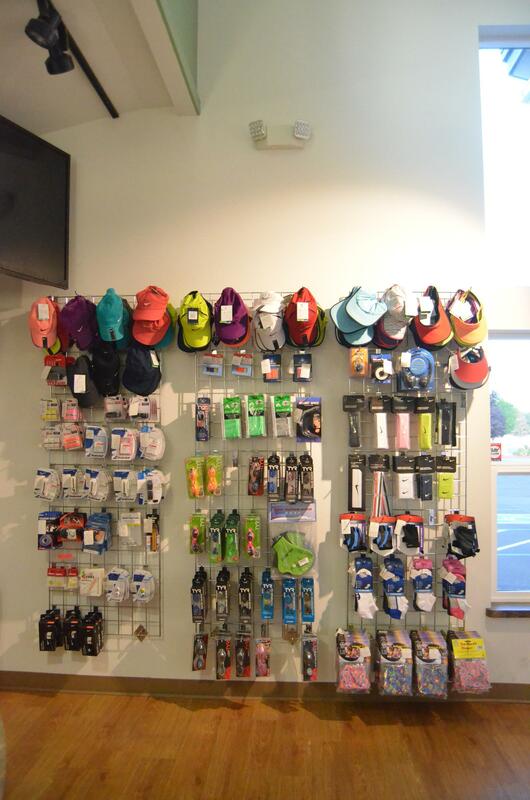 Forgot something you need for your activity? 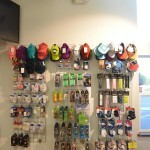 Accessories for tennis, fitness and swimming are available in the pro shop. Logo t-shirts and sweatshirts too! Did you know that you don’t have to wait for your strings to break to re-string your racquet? This is a common misconception among tennis players, but the truth is once the racquet leaves the stringer it starts to lose tension and the more you play the more tension you lose. This results in what is known as “Dead Strings” (when the strings lose its tension). This leads to a loss in racquet performance and hinders your ability to control or feel the ball. 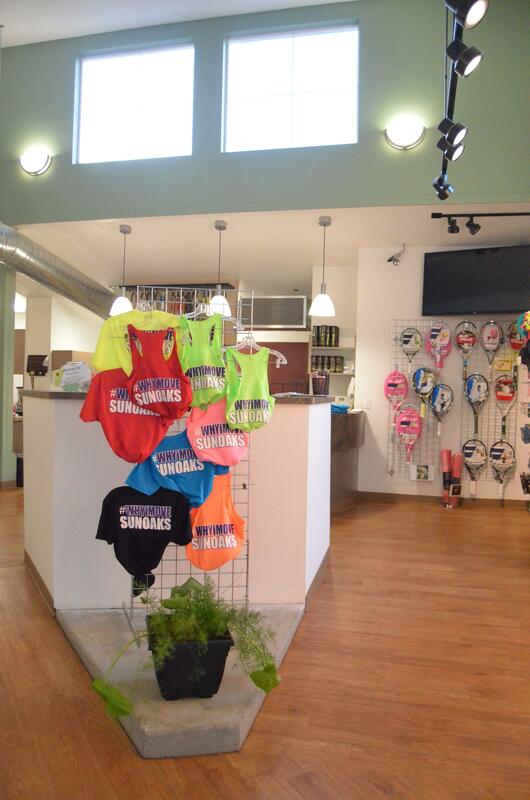 Why get your racquets done at Sun Oaks? We have a very advanced stringing machine that is electronically calibrated to get the exact tension every time. We have created an updated stringing information system to track your personal stringing and re-stringing schedule. 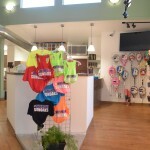 We can predict the next time you should have your racquet re-strung. 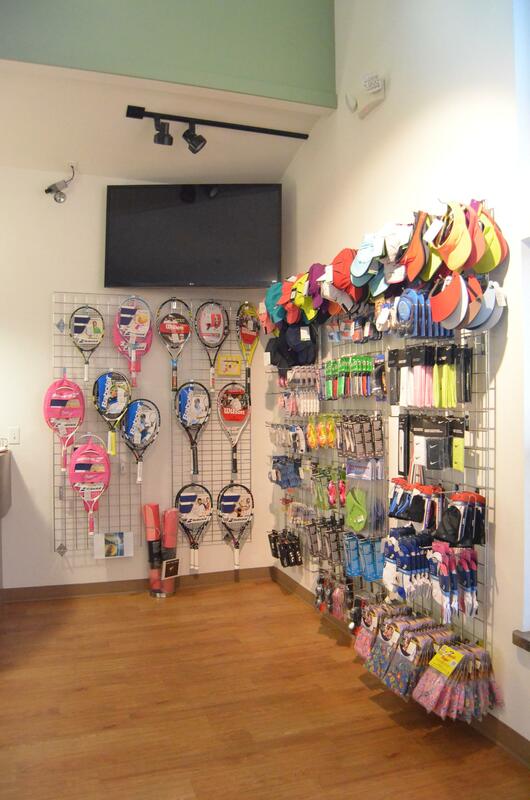 We have a 24 hour turn around so your racquets will be ready the next day!